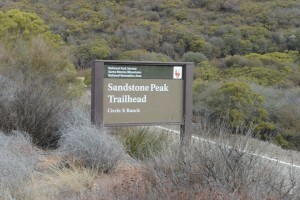 MEETING POINT NOTE: We will meet at the Sandstone Peak Trailhead. The Trailhead is on Yerba Buena Road. You’ll need to drive up to the dirt parking lot above. There is a single restroom stall in that parking area (but as always, we suggest you go before you drive out to the meeting point). GETTING THERE: It is approximately an hour and a half (+-10 mins) drive from Downtown LA to trailhead. (A little less on a Sunday morning). We suggest carpooling from L.A. Please check for any traffic on the day of event. HIKE WALKTHROUGH: The first section of the trail is a pretty steady incline for at least ½ mile until we get to the sign where the trail splits. We will take the right fork and start on the Mishe Mokwa trail. From here the trail goes up and down for about 1 ½ miles until we arrive at Split Rock. We will take a break here for a few minutes and then continue on the Mishe Mokwa trail. Parts of the trail are shaded but there are parts with sun too. 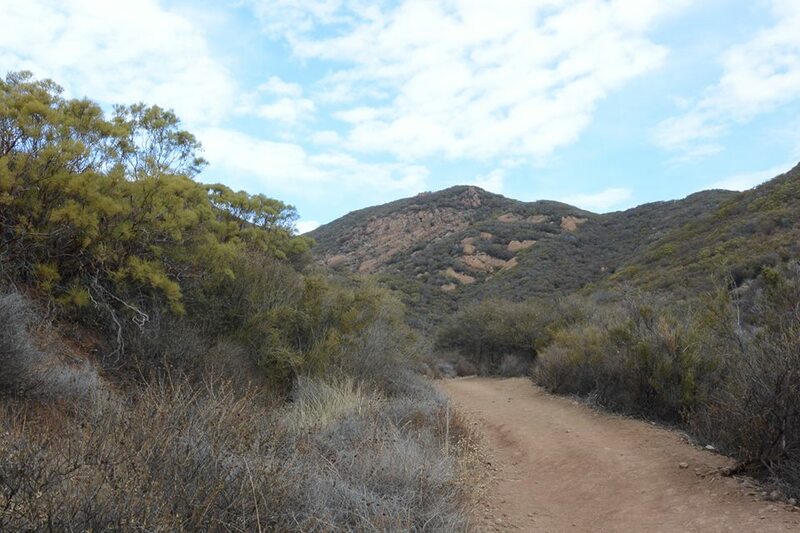 As we come around the trail we will start onto the Backbone trail which will take us around to the beginning to complete the loop. Along the way, we will pass Balance rock and the Tri Peaks area. We will make another stop at Inspiration Point which has beautiful views all the way to the Pacific ocean if the sky is clear. We are not going up to Sandstone Peak on this hike, so we will pass that and continue on our loop back to the beginning. REQUIREMENTS: WATER (at least 2 liters or at least three 20oz water bottles), 2-3 liters recommended. Comfortable hiking/sports shoes with good grip. RECOMMENDED: A good snack and comfortable walking shoes. Try to pack lightly as you’ll be using plenty of your energy getting to the top and coming back down the trail. Have a light breakfast prior to the hike. – Keep in mind this trail has a lot of Rocks and gravel in areas – Lug soles highly recommended. – Dress in layers and pay attention to the weather. – A hat and sunscreen also advisable. RESTROOMS: There is an outhouse style toilet here – but there are no facilities along the trail. DISCLAIMER: LA Trail Hikers and its Leads/Organizers/Participants do not take responsibility for any harm, bodily injury, accidents, or damage to personal property. 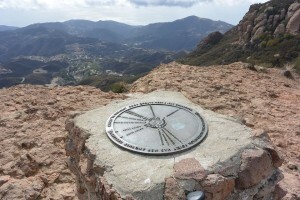 By showing up or attending the hike, you confirming that you understand that all outdoor activity such as hiking, backpacking, and trekking have an associated danger, and will not hold any hike lead/organizer, participant, LA Trail Hikers, or any group associated pet responsible for any hazard to your well being. Additionally, you will not be allowed to participate with the group if you are not adequately prepared with enough water and the right gear/equipment/nutrition essential to complete the hike. You are fully responsible for yourself.